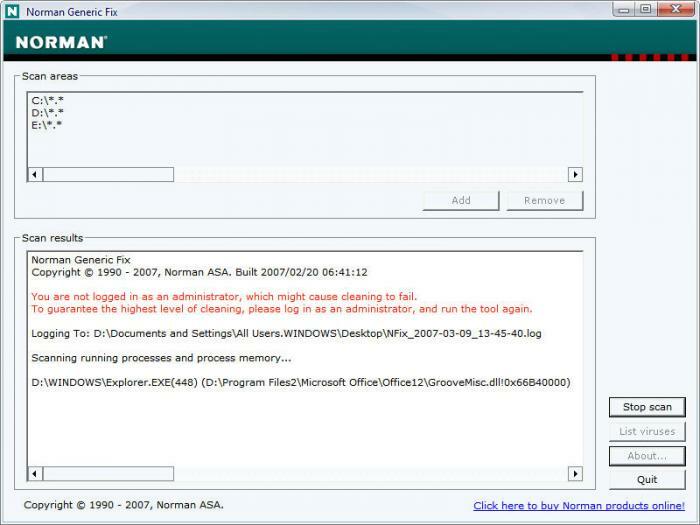 Norman Malware Cleaner is a Norman program utility that may be used to detect and remove specific malicious software (malware). Use this free and newly improved Malware Cleaner tool to scan and clean your computer from viruses, trojans and other types of malware. This simple and user friendly tool not only detects malicious software but also removes them from your computer. By downloading and running the program below it will clean an infected system completely. Kill running processes that are infected. Remove infections from disk (including ActiveX components and browser helper objects). Restore correct registry values. Reveal and remove rootkits. Remove references created by malware in hosts file. Remove windows firewall rules for malicious programs. Supported operating systems: Windows XP, 2003, Vista, 2008, Windows 7 and Windows 8.